Read the California Housing Partnership’s recent statewide and county-level reports outlining the critical role of housing access and affordability in reducing poverty. The California Housing Partnership helps to preserve and expand the supply of homes affordable to low-income households in California. We provide a range of financial consulting services, trainings, policy research, and advocacy leadership to our partners throughout the state. 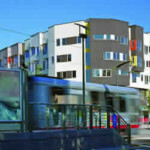 The California Housing Partnership is leading a collaborative effort to improve and expand energy efficiency programs for multifamily low-income rental housing. Learn more about how to become involved. The California Housing Partnership has assisted more than 200 clients since 1988 to create and preserve more than 25,000 affordable homes. Read our case studies about clients’ individual financing challenges and the solutions developed by our team. Thank you from the California Housing Partnership Board of Directors for 30 years of partnership! Take a look back at our work over the years. We work with clients to design and secure the most effective mix of financing for affordable multifamily housing developments. Working collaboratively with partners across the state, we focus our advocacy and research on expanding funding for affordable homes in California.